Built on the rocky Hoe overlooking Plymouth Sound, the Royal Citadel replaced an Elizabethan castle known as Drake’s Fort. The new facility represented the very latest concepts in military design and was intended to guard against Dutch and later French aggression. It remained in military use through to the twenty-first century. 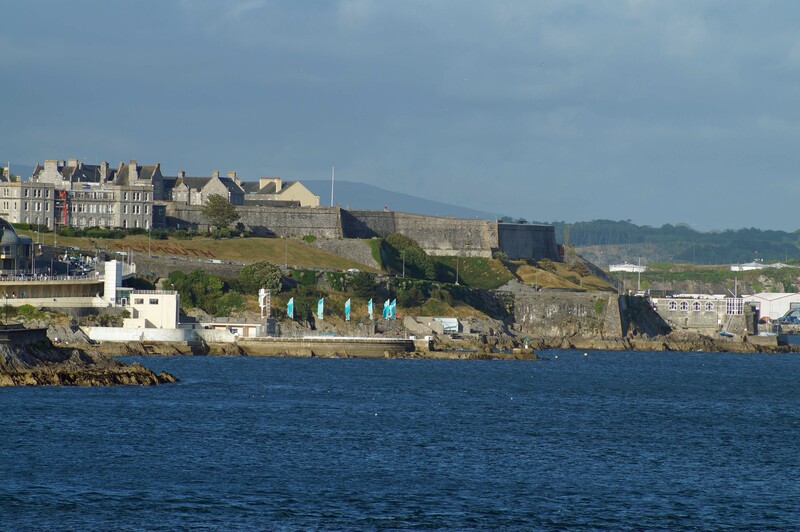 Situated on top of limestone cliffs, Plymouth Hoe overlooks the Sound and Sutton Pool, the small natural harbour around which the city of Plymouth (formerly Sutton) developed. Prior to the sixteenth century this high ground was predominantly undeveloped wasteland although a small church, St Katherine's, had been built there. 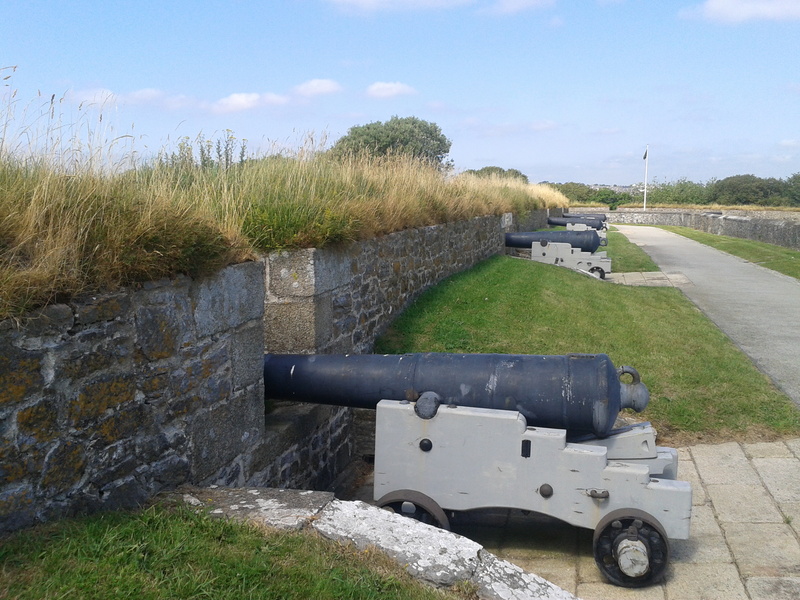 The limited range of artillery in the preceding centuries meant that coastal defence arrangements had been located nearer to the harbour entrance. Initially these had been earthwork bulwarks but had been replaced by Plymouth Castle no later than the early fifteenth century. During the reign of Henry VIII, the castle was augmented by an artillery blockhouse at the foot of the cliffs below the Hoe. 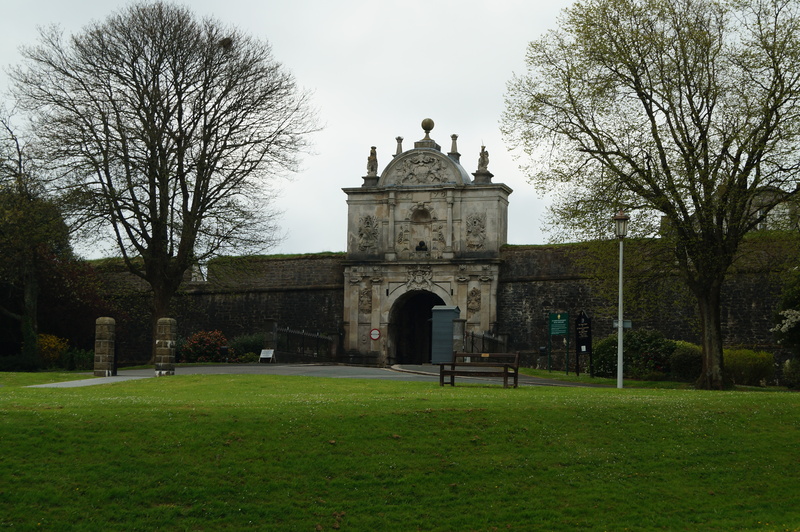 By the late sixteenth century, advances in the range and power of artillery meant the Hoe became regarded as a prime site for fortification whilst the catalyst for construction of a new facility was war with Spain. Against a backdrop of English attacks on Spanish shipping and the execution of the Catholic Mary, Queen of Scots, Phillip II of Spain had sent a vast Armada of ships to England with the intention of invading and toppling the Protestant Elizabeth I. The Armada was defeated but hostilities continued and Sir Francis Drake, who was the Member of Parliament for Plymouth, petitioned the Queen for funds to build an artillery fort on the Hoe. Surprisingly, it was provided! Drake's Fort, as it later would become known, was commissioned in 1596. Its layout and shape were defined by the terrain on which it was built. On the north, two bastions protected the landward portion of the fort. The remainder of the structure simply enclosed a portion of the Hoe, including St Katherine's church, enabling gun emplacements to be positioned to cover Plymouth Sound. The fort's defences also incorporated the earlier Henrician blockhouse and an additional structure, Queen Elizabeth Tower, was added nearby. The fort was a hybrid earth and stone fortification and was complete by 1598. War with Spain ended in 1604 when the new, King James I (VI of Scotland), sought peace. However, the outbreak of the Civil War in 1642 thrust Plymouth into the front-line of hostilities. Whilst the bulk of the South West was broadly sympathetic to the Royalist cause, Plymouth's merchants and sea-faring community were strongly in favour of Parliament. The town was besieged but was sustained by the Navy which was under Parliamentary control. 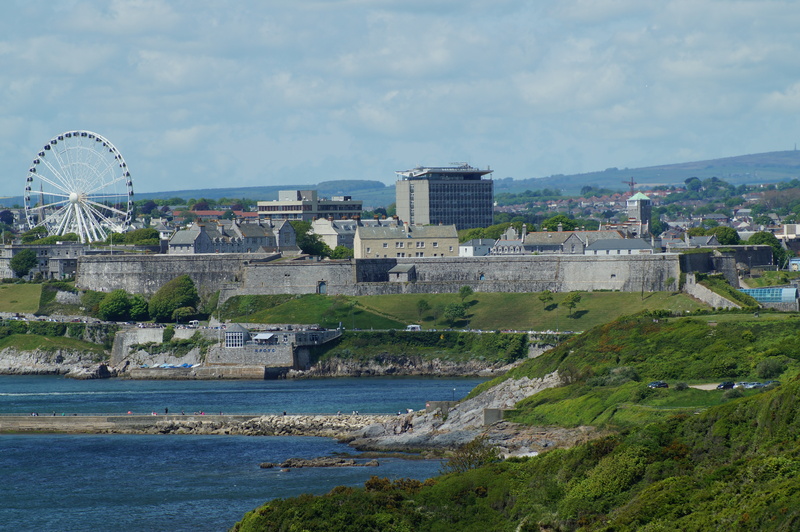 Drake's Fort remained garrisoned during this conflict but as the Royalist forces had limited Naval assets, the threat to Plymouth was land based from the north rather than an attack by sea. Some of the artillery from Drake's Fort was temporarily relocated to the siege works built to protect the land approaches. After an extended siege, Plymouth was eventually relieved by a Parliamentary army under the Earl of Essex. Following the end of the Civil War, England soon found itself embroiled in an international conflict. Relations with the Dutch had degraded due to restrictions on trade imposed by the Navigation Acts and the First Anglo-Dutch War (1652-54) followed. 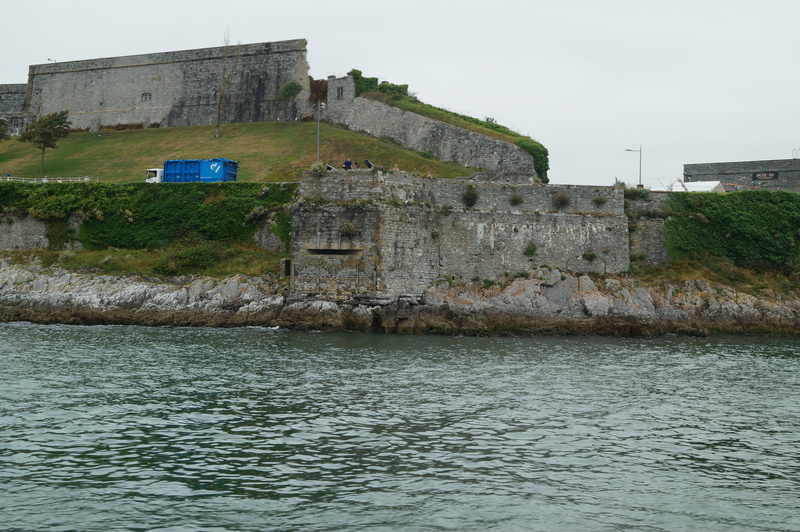 The risk of an attack on Plymouth was deemed significant and Mount Batten Tower was built to provide additional defence for the Sutton Pool. The Restoration of Charles II in 1660 did nothing to ease tensions with the Dutch and a further war, the Second Anglo-Dutch War (1665-67), prompted the establishment of a naval base at Devonport and an associated review of the defences of Plymouth Sound. The King commissioned the Royal Citadel at this time. The new fortification was significantly larger than Drake's Fort. The Dutch-born engineer Sir Bernard de Gomme was commissioned to design the structure and although initially he came up with a five sided, bastioned fortification, the geography of the Hoe and the presence of the still-effective artillery works from the earlier fort meant this design was significantly changed. The northern section of the fort was built to a contemporary design with a deep dry ditch fronting a tall stone curtain wall topped with earth to absorb artillery shot. Three angled bastions projected forward into the ditch ensuring all sections of the wall could be covered by artillery fire and an angled Ravelin guarded the entrance. The southern section was less conventional as it incorporated both a dedicated harbour to support the Citadel and retained the fortifications from Drake's Fort. Both of the latter were incorporated into the section that became known as the Lower Fort. The walls of the Citadel were built from Limestone quarried from the ditch whilst granite from Dartmoor was used for dressing. Building work commenced in 1665 with the required land simply being seized by the Crown. Soldiers from the Duke of Cornwall's Regiment were used for construction and by June 1667 the bulwarks had been constructed to a height of around twelve metres. The fourteenth century church of St Katherine's was demolished and rebuilt as part of the construction process. Concurrently with the building of the Royal Citadel, the area immediately to the east of the structure became a Royal Navy victualling yard including slaughter-houses, storerooms and wharfs to support the Fleet. Within a few years though, the Navy had moved out of Sutton Pool and was operating from a new dockyard at Devonport. 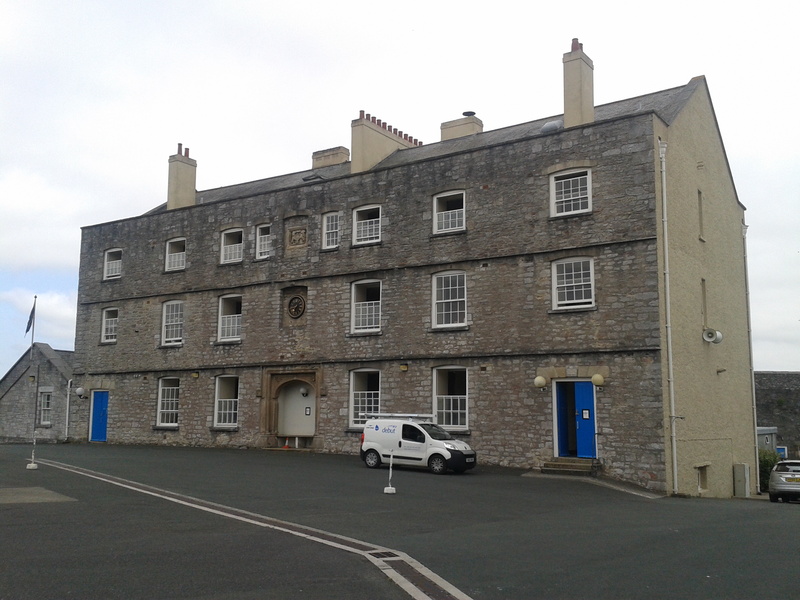 The victualling yard was relocated to Royal William Yard, Stonehouse (significantly closer to Devonport) in 1835. The fortification was regularly strengthened over the eighteenth and early nineteenth centuries during the French wars that plagued that period. However, by the mid-nineteenth century it was superseded due to construction of the Plymouth Breakwater. 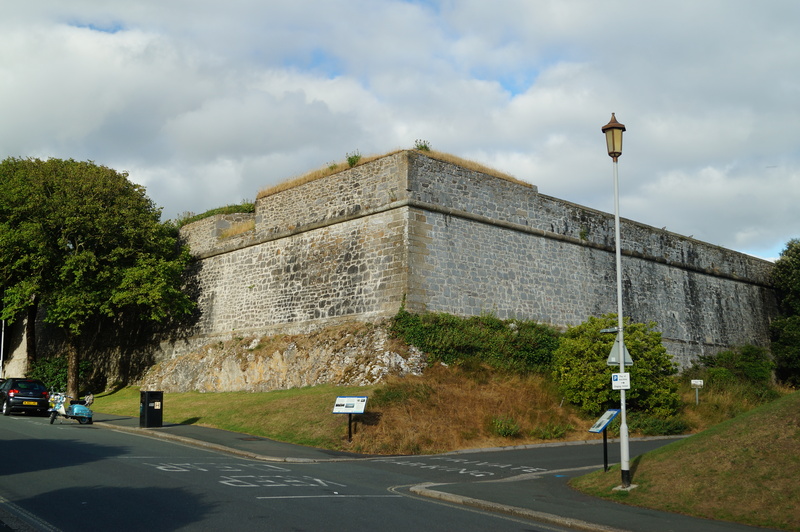 This had pushed the requirement for defence further south and a whole series of new fortifications was constructed to protect Plymouth Sound. The Royal Citadel remained in use as a barracks. 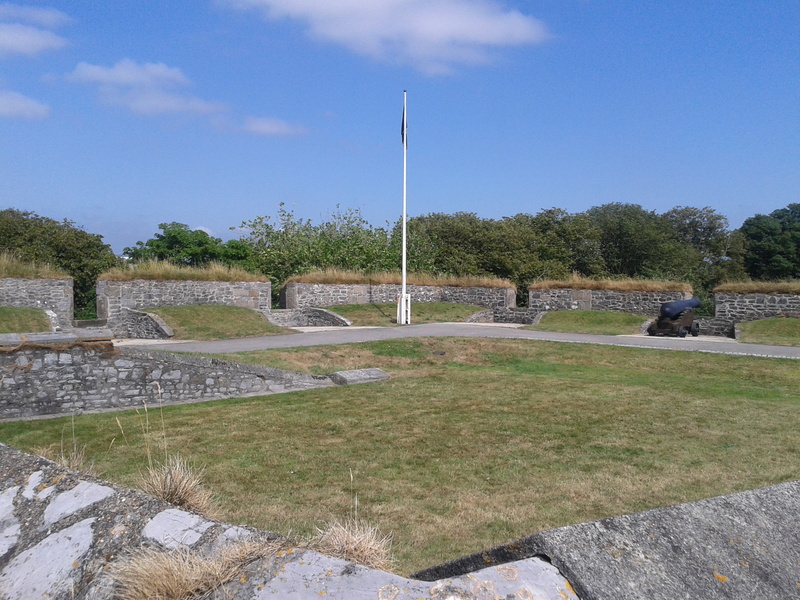 This enabled part of the Hoe to be returned to the citizens of Plymouth and the opening of Maderia Road afforded civilian access along the South East Hoe for the first time since the fort was built. Later this was extended to link up with Lambhay Hill Road and Commercial Street. The Royal Citadel is currently home to 29 Commando Royal Artillery, an Army unit which provides heavy weapon support to the Royal Marines (part of the Naval Service). 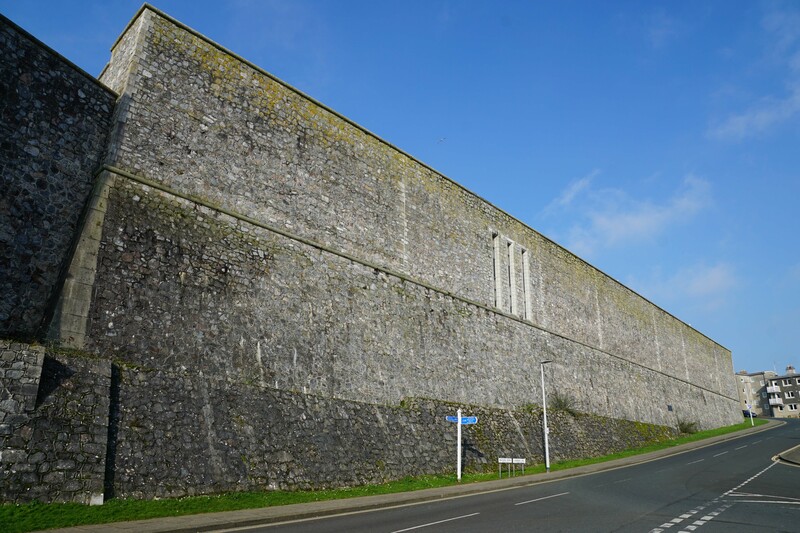 To provide a suitable space for the modern military, not least the large combat support vehicles that weren't envisaged when the Citadel entrance was built in the late 1660s, the old Royal Navy victualling yard was enclosed within a new Wall built in the 1980s. In 2016 the Ministry of Defence announced its intention to withdraw from the Royal Citadel by 2024. Goodall, F (2009). Lost Plymouth. Birlinn, Edinburgh. Historic England (2014). The Royal Citadel, List Entry 1012943. Historic England, London. The Royal Citadel is currently still owned by the Ministry of Defence and accordingly has very limited opening hours and even then by guided tour only. The (almost) complete circuit of ramparts and bastions is hugely impressive. Note that photography of the interior is normally prohibited. 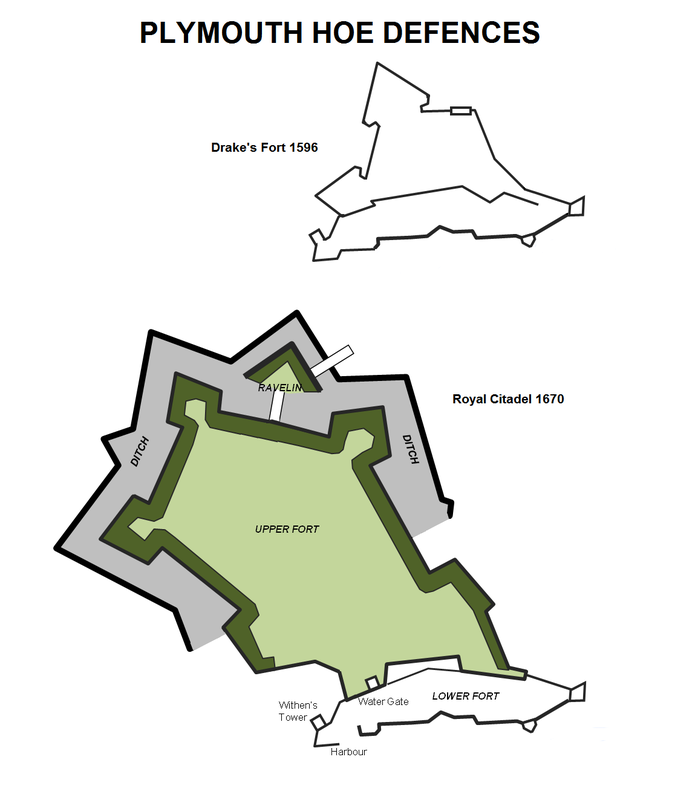 Royal Citadel and Drake's Fort Layout. The configuration of the Royal Citadel was heavily influenced by the requirement to incorporate the existing defences into the perimeter. The northern half was the traditional bastion design whilst the southern section connected to the Tudor era defences. Plymouth Hoe. The Hoe is located on top of limestone cliffs with a commanding view over the northern portion of Plymouth Sound and the entrance to Sutton Pool. Royal Citadel Entrance. The grand entrance to the Royal Citadel was designed by Sir Thomas Fitz and represented all the grandeur of the Restoration. Built from Portland stone to give it a distinctive look from the rest of the fortress, it was decorated with the Royal Coat of Arms supported by a lion and unicorn. Bastions. These were designed by the Dutch-born engineer Sir Bernard de Gomme. He originally planned a five sided, bastioned fortification, but the terrain of the Hoe meant that wasn't possible. Nevertheless a number of bastions were incorporated within the structure. Guns. 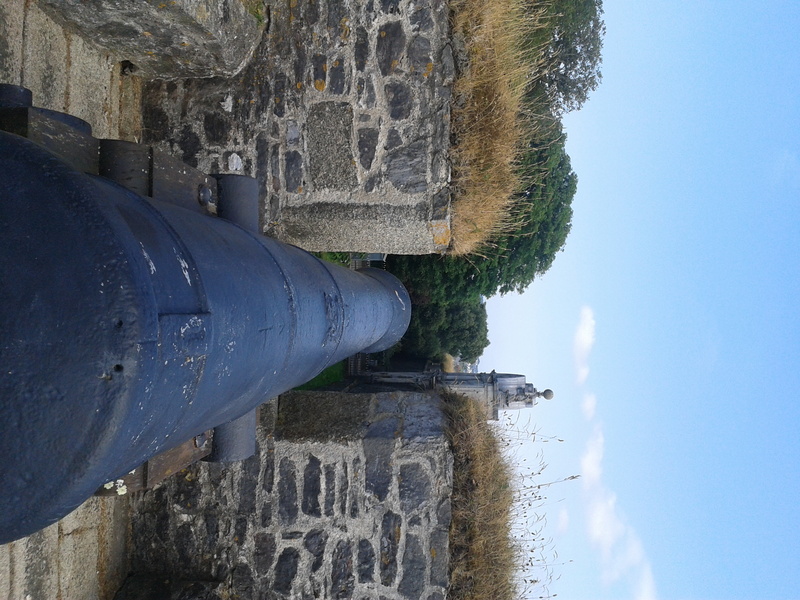 It is often said that some of the Citadel’s guns point towards Plymouth as King Charles II wanted to ensure the loyalty of the city following its steadfast support for Parliament during the Civil War. However, this was never the case as the garrison was billeted and drawn from the city itself. This was evidenced during the Glorious Revolution when the Royal Citadel was the first fortress to declare for William of Orange following his invasion in November 1688. New Wall. 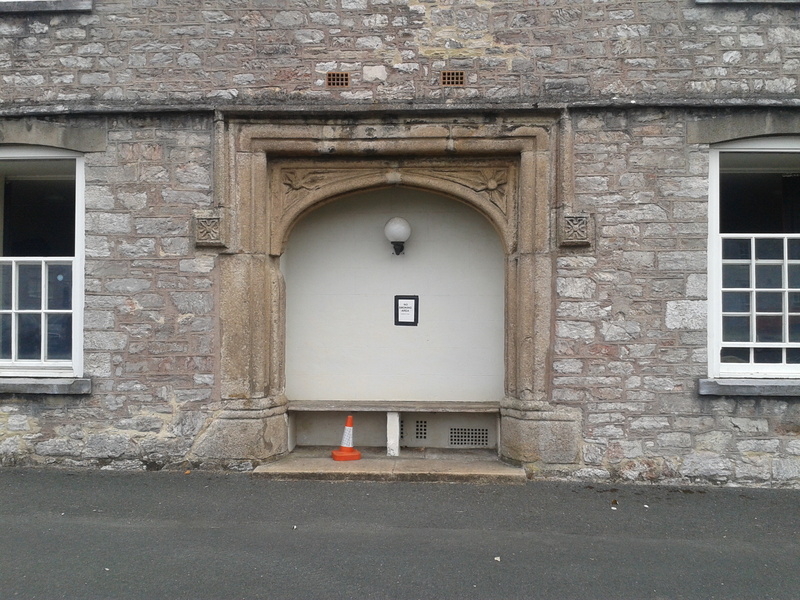 To provide a suitable space for the modern military, not least the large combat support vehicles that weren't envisaged when the Citadel entrance was built in the late 1660s, the old Royal Navy victualling yard was enclosed within a new Wall built in the 1980s. Lower Fort. The lower fort has been has been converted into public access roads. Plymouth Sound. The Sound as viewed from Staddon. The Royal Citadel can be seen to the right. 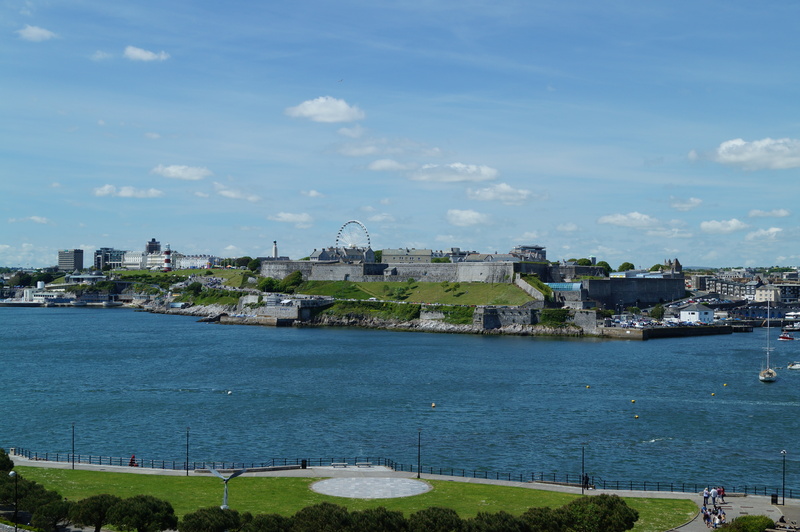 The Royal Citadel is located on Plymouth Hoe. There are various car parking options nearby including ample on-road parking (all pay and display). If attending the guided tour ensure you have paid for at least two hours.